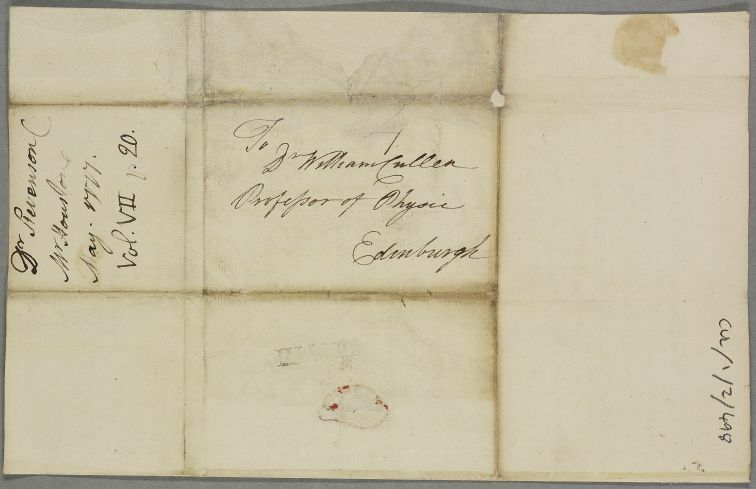 Letter from Alexander Stevenson concerning the case of Mr Houstoun. 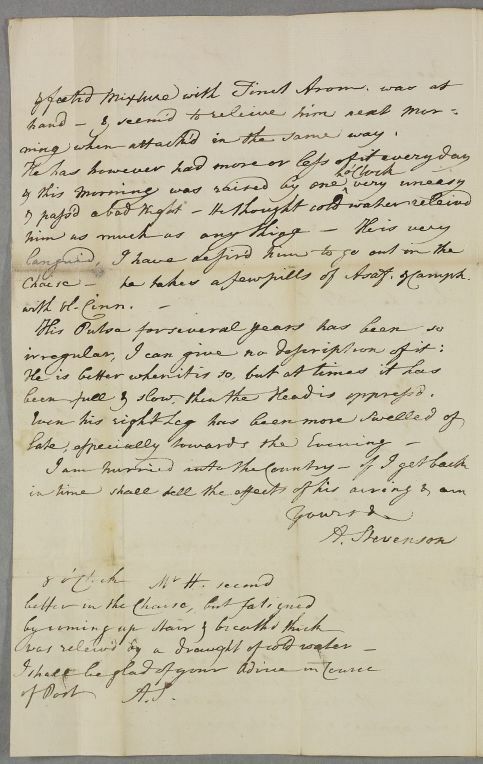 Summary Letter from Alexander Stevenson concerning the case of Mr Houstoun. 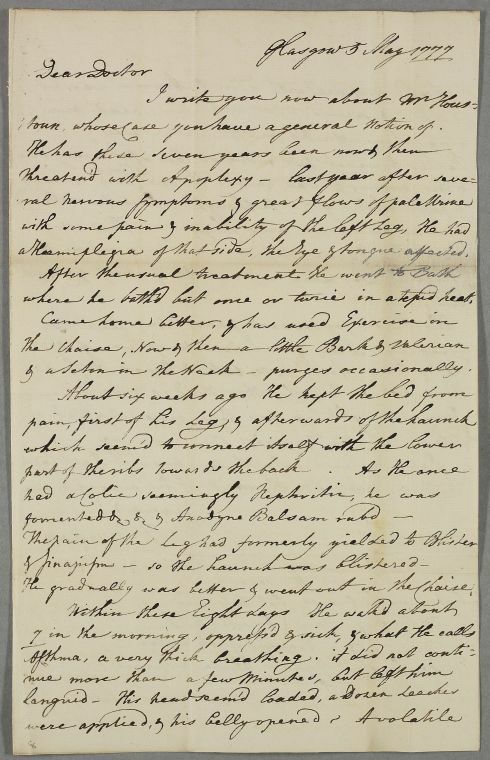 Case of Mr Houston whose long-standing apoplexy has becomes severe with breathing difficulties, pain and weakness. toun, whose Case you have a general notion of. Hæmiplegia of that side, the eye and tongue affected. where he bath'd but once or twice in a tepid heat. & a seton in the Neck - purges occasionally. He gradually was better & went out in the Chaise. ning when attack'd in the same way. been full & slow, then the Head is oppress'd. Chaise - he takes a few pills of Asaf. & Camph.